Joseph M. Belt, 81, died on October 20, 2018 in Elk Grove Village, his home of 42 years. A Memorial Service will be held on Saturday, October 27, 2018 at 2 pm at the Christian Church of Arlington Heights, 333 W. Thomas Street, Arlington Heights, IL. The Reverend Allison Lundblad will conduct the service. Burial will occur at a later date in Lee’s Summit, MO. In lieu of flowers, the family asks for donations to the Christian Church of Arlington Heights. Joe was born in Marshall, MO on November 16, 1936 to Edward and Frances Belt. He graduated from Lee’s Summit High School, Lee’s Summit, MO and received a BS in Business, with a minor in Economics from the University of Central Missouri, where he was a member of Phi Sigma Epsilon fraternity. He married Kay Bosler on November 1, 1959, and they raised two children together. Joe was a Deacon, an Elder, and a choir member at the Christian Church of Arlington Heights, as well as a member of the “Unofficial Walking Group” at the Fitness Center in Elk Grove. He served in the US Army, followed by the Army Reserves from 1959-1965. He is survived by his wife, Kay, and children, Molly and Ed. He is further survived by a sister, brother, nieces and nephews. He was preceded in death by his parents and a sister. 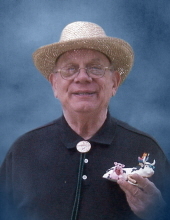 "Email Address" would like to share the life celebration of Joseph M. Belt. Click on the "link" to go to share a favorite memory or leave a condolence message for the family.